We are one of the leading manufacturers, exporters, suppliers, wholesalers and traders of a wide range of optimum quality Designer Jewelry Collections. Owing to their elegant design and appealing appearance, these products are highly demanded. 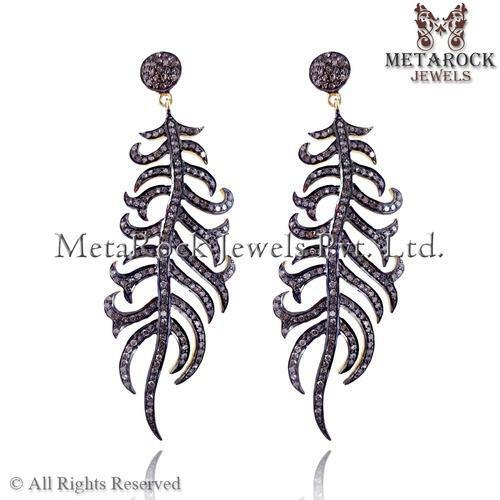 Our company is the prominent manufacturer, supplier, exporter and trader of Fashion Jewelery, Filigree Jewelery, Icy Diamond, Knuckle Ring, Rose Cut Collection, Pave Necklace, Designer Bracelet, Pave Earring, Designer Ring, Rose Cut Diamond Brooch, Designer Pendant, Gemstone Bangle, Gemstone Earring and Gemstone Pendant. These products are fabricated by using supreme quality raw materials and designed by our highly experienced designers. In addition to this, these are available at reasonable prices to our customers.